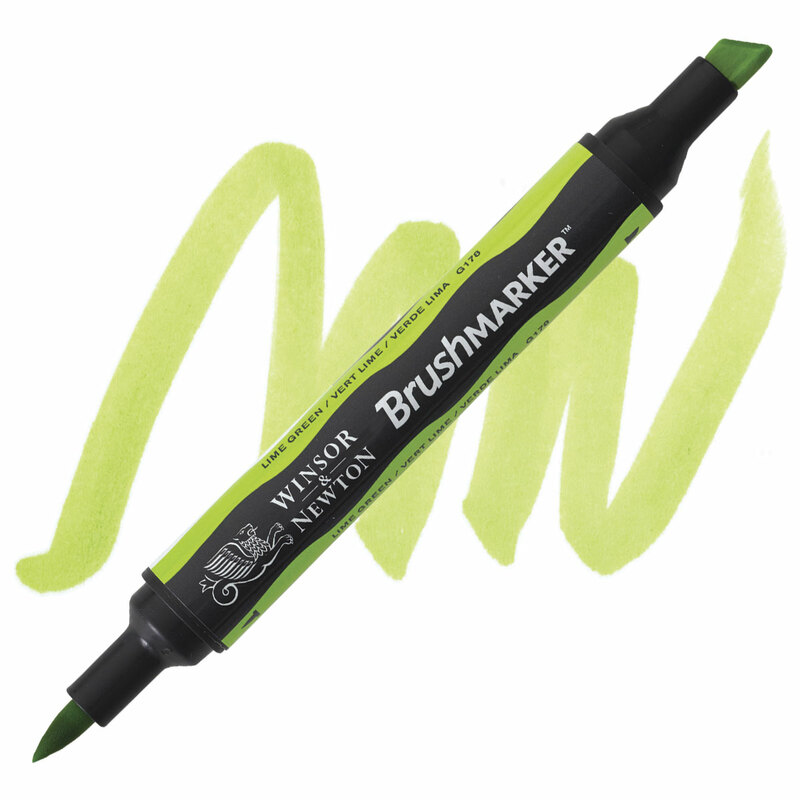 Winsor & Newton BrushMarkers are filled with a dye and alcohol-based ink that applies evenly with no streaking, ideal for rendering and shading. The double-ended markers have a broad chisel nib on one end and a brush tip on the other. Fast-drying. Non-toxic.